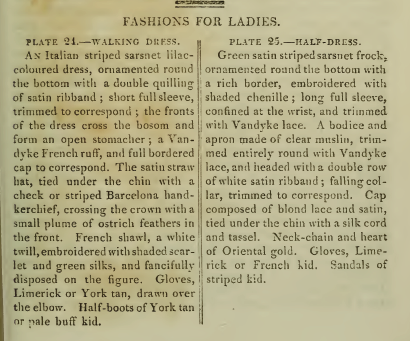 Both of this month’s gowns feature Vandyke trim (one of lace, one a ruff of unspecified material), which made me curious to learn more about the term. 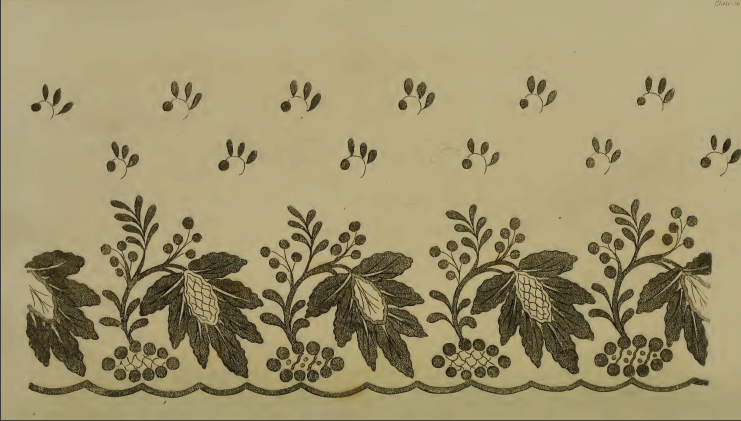 Fairchild’s Dictionary of Textiles defines “van dyke edge” as “a sharp-pointed, scalloped edge in lace, embroidery, or fabric trimmings” (606-07). Like the lady in plate 24, male courtiers throughout 17th century Europe often wore collars or ruffs with sharply pointed edges. But they did not call them “van dykes.” That name comes from the famed 17th century Dutch portraitist Antoon van Dyck, who became the favorite painter of the English King Charles I of England and his wife, Queen Henrietta Maria. 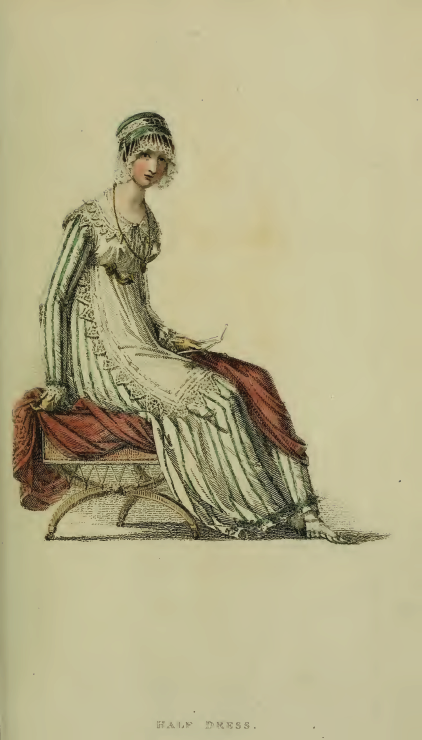 Many of those who sat for their portraits wore the pointed collars that would later bear his name—I’m guessing not just because the collar was stylish, but because the sharp pointed edges were more difficult, and thus more costly, to make, indicating to the viewer the wealth of the person in the picture. It wasn’t until the mid 18th century that the painter’s name begin to be used to describe this earlier 17th century collar style. And only in the early 19th century did “vandyke” come to refer more generally to any notched, deeply indented, or zigzag trim or border. And as for the beard style—well, that’s a 20th century coinage! 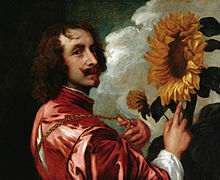 Antoon van Dyck, “Self-Portrait with a Sunflower” (after 1633): No van dyke collar, but he’s definitely sporting the beard! 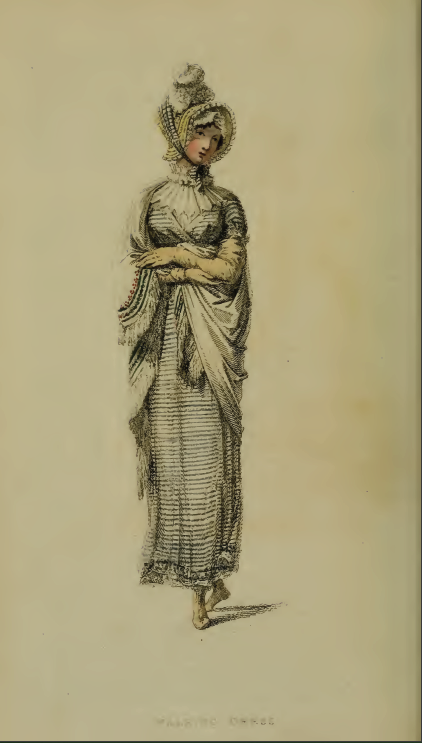 See the Van Dyke lace edging the apron on the fancy half-dress above?